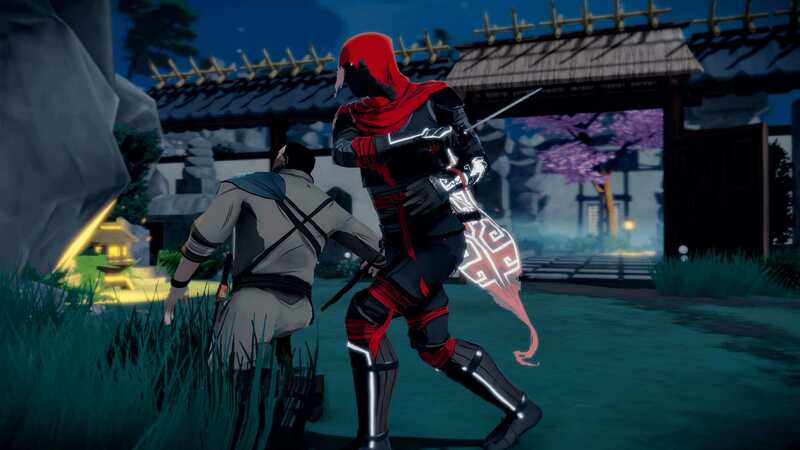 On paper Aragami, the first commercial project for Spanish based developer Lince Works, looks precisely the sort of game that I would run a mile from. A third-person stealth action game where you control the shadows sounds like something way out of my comfort zone, me being far too impatient a player to approach stealth in any sensible way. Aragami, however, manages to deliver a fluid, compelling game where hiding in the shadows is as exciting as any full action game. You are Aragami, a vengeful spirit summoned by a beautiful girl named Yamiko who is trapped in an unknown place. She has called upon you to avenge the slaughter of her people by a mystical group of warriros called the Kaiho, who control the light and have entrapped her. As you progress through the various locations, the story, as well as who the girl is and who you were in a previous life, is told slowly through a series of flashbacks. Visually Aragami is gorgeous, with a cel-shaded, almost hand-painted quality to it, and the stealth influences are clear, with a very strong Tenchu vibe as well as more recent games like Mark of the Ninja. The styling of Aragami himself takes visual cues from Journey, with a scarf that indicates how much shadow essence you have, which power you currently have equipped and how many charges of that power remain at your disposal. It’s a simple technique, artfully done, communicating everything you need to understand what tools are at your disposal to assist you in the completion of each level. You begin with a rudimentary control of the shadows. 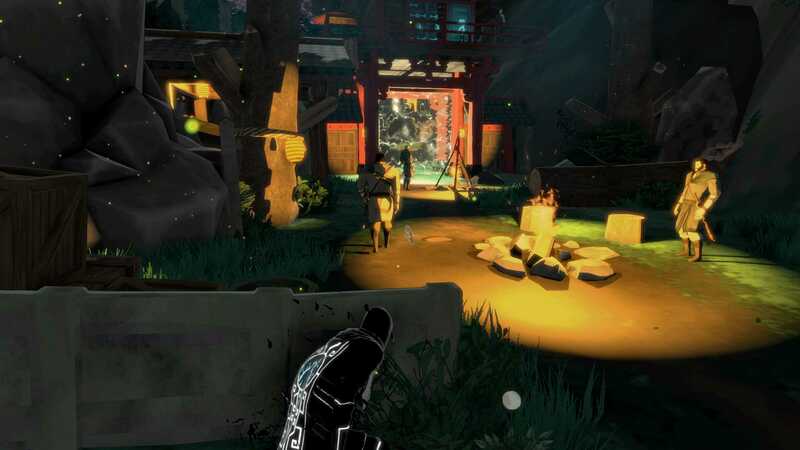 Aragami can shadow step through the dark spaces, using the shadows cast by objects to quickly teleport to different locations. As your powers grow, you learn to create shadow by drawing on your essence so that Aragami can traverse ground that is well-lit. To recharge essence, all you need to do is remain in the shadows for a short time, the complex pattern on your scarf slowing filling to indicate the amount of charge you have available. The movement is like liquid, and there is a joy in the way Aragami weaves about the level avoiding enemies or positioning himself behind one for a stealth kill. The animations from each kill are varied, suitably gruesome and very satisfying. Being seen is risky, and is often a death sentence as you have no real weapons to speak of, other than your speed and agility. If an alarm is sounded, all enemies in that area will being to search for you and your best bet is to move quickly through the shadows, trying to pick enemies off one by one. If you remain hidden for long enough, the alert will die down and they will return to their normal patrol pattern but now with added alertness. The shifting dynamics of the enemy patterns and their alert level adds a level of complexity to each section as there are multiple paths to the objective, and by triggering an alarm you are forced to swiftly change strategy in order to be successful. Littered about the levels are collectible scroll items, but rather than just being a trite element for only the most enthusiastic of players to locate, these scrolls are tied to the upgrade system. Upgrades are divided between general skills for Aragami (for example those that speed up the time it takes to recharge his shadow essence), to skills that are focused on offensive or defensive play. By tying these collectibles to the upgrade tree it encourages you to explore the environments in more detail, which further opens up creative ways of navigating it. There are thirteen chapters in total which slowly develop and increase in difficulty adding more enemies, reducing the amount of shadow available and adding traps that make speed and quick thinking valuable skills for escaping trouble. At the end of each chapter you are awarded a style mark and medals depending on how you have approached the level. Medals are awarded for finishing the level with no enemy kills, or despatching all enemies and for completing it without raising a single alarm. The style grade and the medals do much to encourage repeat plays to better your score, or perhaps attempt to complete a non-lethal play through, to finish without raising the alarm, or to kill every enemy. There are a few mis-steps; a section where you trigger a trap with moving light beams and platforms is difficult to navigate because of the way the camera moves about, and a couple of times I inexplicably shadow-stepped through the environment. At times some of the objective markers do not appear, leaving you a little vulnerable as you try to find the exit for the area, but these are all minor complaints in an otherwise superb game. 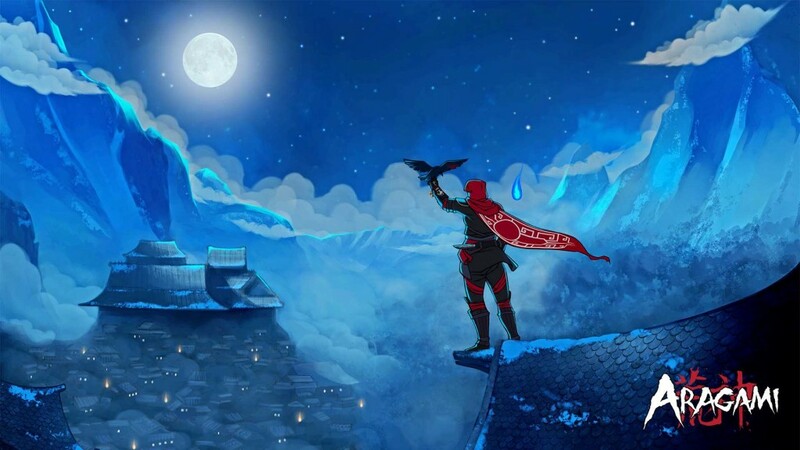 Aragami is a super stylish stealth ninja game that blends a lot of familiar ideas into an exciting action game. The levels are constructed in such a way as to encourage multiple playthroughs, while the placement of the upgrade scrolls ensures that every inch of the beautifully-rendered environments is examined. With no real weapons other than a close quarters blade, you are forced to think strategically about each move, whether to utilise one of your precious finite powers or attempt to sneak past the enemies to your objective. Each level is consistently exciting, gradually adding more complexity and challenge as you progress. The story, told through limited dialogue and minimal cut-scenes, is enough to keep you invested until the end, but it is the gameplay itself that demands your attention. The liquidity and grace of Aragami’s move-set combined with the clever level design really make this a superb stealth game. Aragami is a superb stealth game with a gorgeous visual design and a protagonist that feels as lithe and graceful as you'd expect a ninja to be.